Data is information saved and archived in the form of records and folders on the personal computers (PC). Data backup is to copy the data to another source to recover it whenever data loss happens. In those days, usually, the data was downloaded from the computer’s hard disk to the floppy disk. The data stored on the external disk is susceptive to data loss due to a personal fault, natural catastrophe, power fluctuations, and added unavoidable reasons. Small portable devices can store the entire data on the system. Still, one cannot assure the escape of data loss or damage. Today, there is enough data backup software assistance. Several data backup softwares are available on the store. In a digitalized world, the data backup on the cloud is the go-to option. The cloud storage is a form of remote data storage. It is an online backup where the data is stored on a regular basis off-site over a network on a remote server, generally received by a service provider. Stored data is vital for organizations, businesses and even for home-office. Technology is advancing to make data backup options more stronger. Failback and failover systems are new methods to shift the data stored from one end to the other when there is a mishap. The operating systems back up the files to a safe place when choosing the destination for backup. The destination could be an external USB drive or a network. The file history is used to back up the files to this safe place. Though there is no need for separate data backup software on your operating system, it is critical to own a software to simplify the complex process behind data backup. The factors to consider for this, will be the location or destination of the backup data, the file types to back up, the frequency of the process and the security or encryption of the data. Data backup software simplifies these tasks on your system. Click the InstaBackupGold.exe file and the Welcome to Insta Backup Gold Setup Wizard panel appears. Select the Next button. License Agreement window panel opens. Select Destination Location and a window appears. Choose Browse option to designate a place for storage. Click on Next. Select the Start Menu Folder and a panel opens. Select the correct option. Choose Create a desktop icon from Select Additional Tasks and create a desktop shortcut. The Ready to Install dialog box opens. Click Install. After the process, Completing the Insta Backup Gold Setup Wizard dialog box appears. Select Finish. To avoid restarting the computer, choose ‘No, I will restart the computer later’ option and click Finish. The backup wizard helps you to make settings for website backup based on the user’s preferences. It is a user-friendly interface to back up the entire or a part of a website and to restore it from the previous backup. From the Start menu, go to All programs and then to Accessories. From Accessories, go to System tools and select Backup. Choose Advance mode. A Welcome tab opens. Under the Welcome tab choose Backup wizard (advanced). Click Next when the Backup wizard starts. Choose the files to backup and click Next. You can check-mark the Back up selected files, drives, or network data option. Designate the mode of backup type, as it has different types. Choose the destination and name and then click Next. Cross check the options selected in the Completing the Backup Wizard. Click Advanced to set advanced backup options and click OK. Ignore this step if there is no need to choose Advanced settings. Acronis True Image 2018 is a full-featured backup solution. 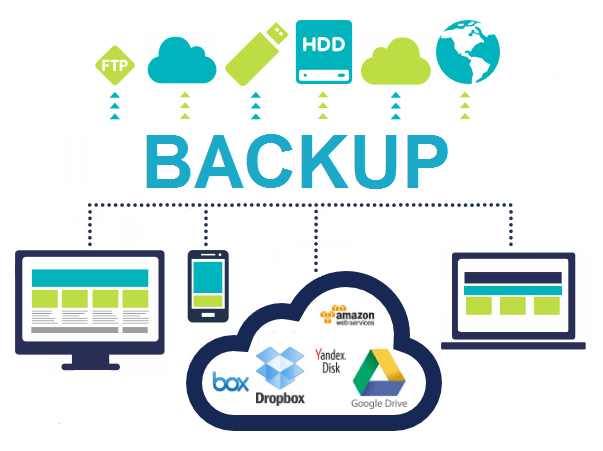 Ease Us To Do Backup is a computing solution at an affordable price. Paragon Backup and Recover 16 works best for home users. Nova Backup PC is a fundamental solution for data loss. Genie Timeline Home 10 backs up all your files effortlessly. Storage Craft Shadow Protect 5 Desktop is the best enterprise-level data backup software. NTI Backup Now 6 comes with an enhanced interface for the user-friendly version. 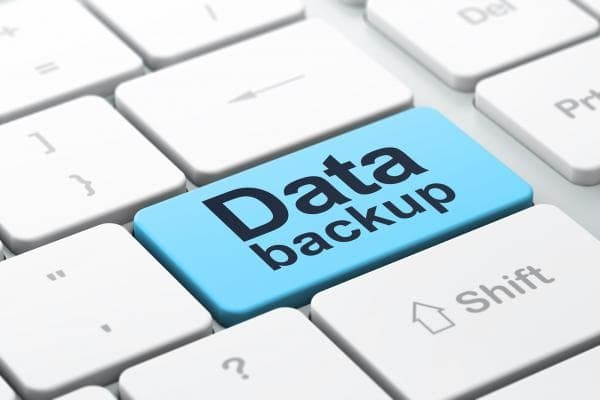 AOEMI Backupper Professional helps to back up various types of data. O&O Disk Image 12 Professional can handle small to extremely large files backups. Ashampoo Backup Pro 11 backs up files and folders on your computer and network as well. Veritas System Recovery is data backup software specially designed for business. The process of data backup for databases is as follows. Data can be backed up to an external hard disk. It can be either offline or online data backup. There are three types of data backup options. They are the full backup, differential backup, and incremental backup. The full backup option duplicates all the stored data. This type requires a huge space for the backup. The differential backup option needs a full data backup initially. It stores the changes in the backed up data. In incremental data backup, the data that has changed from the previous backup. Choose the right data backup solution. Implement the process of database backup by choosing the right tool. Some options include MySQLDump, phpMyAdmin, BigDump, and HeidiSQL. The protection of databases with data backup option is necessary. Backing up data is compelling to run a business. The loss of data may lead to the loss of business itself. There are a few factors to consider before implementing data backup. Always organize the files and folders on your system. It will make access easy when data is restored after a data loss event. Ascertain the important files to backup. If a loss of file devastates you, then it is an important file. Establish a local backup system for all your files. Let a copy reside at the office for easy retrieval. Also, create an off-site retrieval system. It is mandatory to store all the important data in a different destination. Create an automated backup procedure. This will support if manual data backup is forgotten. It is likely for an iPhone to enter recovery mode during an update. It is critical to exit the recovery mode without losing data. An iPhone is connected to the system using a USB cable during an update. On removal of the cable, while the update is in progress, the phone gets into a recovery mode. The entire data loss occurs if there was no backup performed earlier. In that condition, it is critical to exit the recovery mode without loss of data. iOS data recovery tool helps to exit the recovery mode without losing data. Download iOS recovery tool from the internet to the Windows or MAC. Launch the application on the system. Connect the phone to the system, as this detects the phone immediately. Click Restart the device to restart your phone. The phone restarts without the loss of data. Android is an operating system platform for smartphones. It is the most used platform on devices due to its user-friendly interface. Smartphones are replacing the use of the personal computers. Hence, it is crucial to backup the data on Android. The settings, preferences, media files and almost anything can be backed on Android. Google takes care of the backup process. To enable the Google backup, follow the below steps. From your smartphone, navigate to Settings and search Personal. Under the section Personal select Backup and reset. Select the options Backup my data and Automatic restore. Go to the Settings and select Personal. Under the Personal section select Accounts and sync. Add your Google account under Accounts and sync. Check-mark all the boxes to back up all the data. Choose the pictures and other media files manually to sync in with Google cloud. iTunes takes care of iPhone backup. It backs up iPhone on connecting it to the Windows or MAC. It syncs all the media files. The retrieval of data is made easy on data loss. It is easy to restore the data and settings during an iPhone restore or reset. During the reset process, all the contents get erased. iTunes restores the data when connected. The iPhone also has an iCloud backup. The backup of the personal data and settings happens in the cloud if enabled. iPhone data recovery software like Stellar Data Recovery, Primo iPhone Data Recovery, Dr.fone, iSky Soft, iMobie and much more are available in the market. The Stellar Data Recovery tops the best data backup software for iPhone list. It is a comprehensive data recovery software with user-friendly interface. It backs up most of the data in social media applications including Whatsapp which is not present in most of their counterparts. It protects the loss of photos, videos, Safari bookmarks, documents, messages, contacts, notes, calendar information, and photos from any iOS devices. Turn On iCloud to back up the data on your iPhone. Connect the phone to the Wireless network (access point). Go to Settings and select iCloud. Under iCloud select Backup. Turn on iClod backup. Check for the Wi-Fi connection and click Backup now. Go to storage under settings to check for the backup process. iPhone backup is performed with iTunes too. To backup using iTunes, launch iTunes on your system. Connect the device to the system. The iTunes detects the phone automatically. Under the File menu select Devices. Select Backup or Backup now from the options. The backup of all the files is complete on your iTunes. This is a manual process. Periodically back up the data on your hard drive with a hard disk backup software. It is a relatively easy process than to recover data from a corrupted hard drive. It is suggested to back up all the data on a regular basis. Data backup software like EaseUs backup software always helps. Purchase a genuine version of EaseUS ToDo Backup software from the store. Install it on your system. Click Finish when the installation is complete. After the installation of the data backup software, open EaseUS Todo Backup. Select the backup option that you prefer. You can decide the type of file for backup. Select the system, hard drive, files or applications that need a backup. Chose the destination where you like to store the backup files. Choose Proceed to backup data from the hard drive. The data backup software completes the backup process.